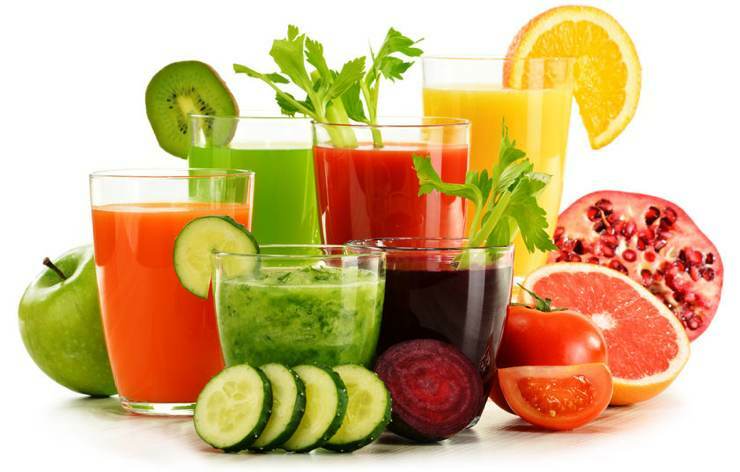 Given what we are now exposed to through our food, air, and water, detoxification has become a modern-day necessity. Without the daily activation of ancient, effective physiological pathways designed to remove naturally occurring environmental and toxins or manmade chemical toxicants, we are bound to get sick. So, what are some simple, effective ways we rid our body of its daily toxic burden? 1) Pop a Probiotic: Of course, you don’t have to ‘pop a pill’ to get a probiotic. In fact, it is preferred you ingest either a cultured food (e.g. kombucha, yogurt (preferably non-cow’s milk based), cultured veggies, etc.) or eat more raw fruits and vegetables grown in truly healthy soil, as this is actually the root of where ‘good bacteria’ come from. How will getting probiotics help? Fascinating research indicates that probiotics actually help us break down foods (e.g. gluten; casein) and chemicals (pesticides, Bisphenol-A) which can cause great harm to our bodies, and which our own detoxification pathways do not handle effectively. Its kind of a wonder, isn’t it, that ‘germs’ can help save us from ourselves in this way? (Learn more: 8 Ways Microbes Can Save Us From Ourselves). 2) Breaking a Sweat: Sadly, sweating has become synonymous with something gross that should be blocked with antiperspirants/deodorants – which, ironically only further exacerbates the problem of bodily odor, as it keeps one of your primary channels of detoxification from doing its job. The reality is we were designed to move our bodies, the result of which is the release of profoundly uplifting and regenerative hormonal and neurochemical secretions. And this is just the obvious ‘reward’ we receive by pushing ourselves through the discomfort of sustained, intense bodily exertion to the point where we are profusely sweating. Deeper benefits include the activation of the lymphatic system, which while being part of the circulatory system lacks a pump (like the heart) to push the lymphatic fluid through; this requires the activation of our entire skeletal musculature via exercise. While one does not necessarily need to break a sweat to move the lymph – walking will suffice – you can ‘free two birds with one hand,’ by eliminating various heavy metals and chemicals via profuse sweating if you bring your physical activity towards that threshold, which incidentally also overlaps with that ‘sweet spot’ that activates the ‘feel good’ secretions we talked about. (Learn More: Research Confirms Sweating Detoxifies Dangerous Metals, Petrochemicals). If you eliminate and/or minimize the consumption of nutritionally vapid foods such as processed grain products, and beans (soybean, peanut, and other “vegetable oils” included), and have a salad, eat an apple, or consume some organic nuts, etc., and focus on eating one really good meal later in the day, you will be surprised by how little you will be hungry; much of that craving is a byproduct of chronic, elevated insulin, which is largely caused by over-consumption of processed grain-based foods, and/or simple carbohydrates way beyond what you need to replenish your glycogen stores. Now consider, this doesn’t have to be painful. Literally, if you awake in the morning, have your cup of coffee or tea (if you imbibe), and feel that empty hunger and low energy driving you towards you French toast, or whatever you would normally eat, try taking a couple tablespoons full of coconut oil, which will provide you (and your grumpy ‘morning brain’) with a near immediate source of fuel (66% of coconut oil is medium chain triglycerides which your body can use for energy very quickly, and which your liver breaks down into ketone bodies for your brain, which is the brain’s only other source of energy beyond glucose). Consider, of course, this is not going to work for everyone, but it certainly may fit better into a busy lifestyle than the ‘heroic’ fast concept of just not eating anything at all – which has its place, especially for the very sick under professional guidance, or those on a spiritual mission, but not those with kids, several jobs, and just wants a way to jump-start the internal house-cleansing, metabolism-boosting process. 4) Spice Up Your Life! Basic culinary spices can work wonders at stimulating bodily detoxification. A recent study, which we highlighted in the article “Garlic Beats Drug In Safely Detoxifying Lead from the Body,” illustrates how you can use your ‘food as medicine.’ If you LOVE Garlic, great. You are already a step ahead of those who tolerate it. In the former case, you might just want to ratchet up your romance a bit. In the latter case, just don’t ignore its potential application in foods you are already enjoying. The point is that we have plenty of help all around us, in our kitchen cupboards, on our spice racks, etc. And do you know what’s cool? There is a huge list of spices, foods, and nutrients – over 75 last time we counted — that we have indexed on GreenMedInfo.com that can stimulate detoxification pathways in the body. Here’s how you navigate to it: GreenMedInfo.com > Menu Item: Research Database > Pharmacological Action > Detoxifier. The great thing about an apple, of course, is that it’s a whole food. Rather than take mega-doses of apple pectin (assuming you don’t live in Fukushima, or are exposed to its fallout in some way – then please do! ), simply incorporating a ‘good apple’ – that is to say, 100% organic, non-irradiated, etc. – into your daily diet, should constitute an extremely pleasurable experience (especially if you incorporate this healthy snack as the “break” in our “Break-The-Fast” strategy). We can be nourished, pleasured, and detoxified all in one act; and this is, indeed, the way nature designed things in Her infinite wisdom. [insert “He” and “God” if you prefer, but don’t hold the story of Adam and Eve against this sacred fruit!]. The last thing we should say on the topic, which may be the most important thing of all, is please void being poisoned in the first place. Easier said than done, I understand. But here are some really important things to remember, to make sure you aren’t unintentionally throwing yourself on a chemical grenade every day…. Unless you need your receipts, don’t take them. Next to canned food (with those darn alphabetic soup of bisphenols in their can liners; yeah, its not just BPA, but BPS, and others the industry is now using), what is likely our primary route of exposure for this profoundly damaging class of gender-bending, heart-damaging, brain-damaging petrochemicals is going to be touching thermal printer receipts – especially if you already use lotion, which only helps to accelerate the skin’s absorbance of these chemicals. Don’t drink the water. What I mean by this is if you get your water through a municipal system, and it hasn’t been effectively purified (ideally, distilled with minerals reintroduced), you shouldn’t drink it. Keep in mind, also, you can get ‘pristine’ water from Iceland or Fiji, or wherever marketers like to take our imagination, but if its been sitting in plastic for a year, its not as good as it would seem. Keep in mind that the problem with municipal drinking water, isn’t just the fluoride residues, but the 600+ disinfectant byproducts all of which are known to be toxic to the body, to damage DNA, and probably contribute to cancer. It still boggles my imagination that anyone would willfully expose themselves to this, even in its secondary reiteration as ‘cooking water,’ i.e. using it to make pasta. Water is what the majority of our bodies are composed of. Learn to savor ‘biological water,’ that is, water that comes from pure food, e.g. watermelon. This is ‘structured’ by the universe itself, and is unparalleled in what it can do for your body.